There’s one thing our laptops and IKEA furniture have in common: good engineering. In fact, most of our everyday appliances and seemingly normal items are the products of engineering. If it wasn’t for engineering, we would have no planes or boats to travel, we would also not have comfortable chairs that are good for our spines. There would also be no such thing as a smartphone. Yet, engineering is still one of the most understated industry in Singapore. So that led me to wonder—what could be the reason or reasons people with the knowledge do not go ahead to pursue engineering as a career? Could it be a bad job market, or is it because of the stereotypes attached to becoming one? Let’s look at the typical stereotypes of engineering and engineers, and find out if they’re fact or fiction. Negative portrayals in the media has contributed most to this one. Many times, characters who are engineers are seen to be excessively nerdy and socially awkward (cue The Big Bang Theory TV series), but reality is far from just staying in a lab, interacting solely with machines, and performing very ‘behind the scenes’ work. When you’re an engineer, you get to create new and interesting things that impact and potentially change people’s lives. Take for example Elon Musk and Tony Stark. Well, the latter is fictional, but you get the idea. Elon Musk is the CEO of SpaceX, a centre dedicated to space exploration and the research of its technologies, developing space transport services. He is also the CEO of Tesla Inc., a company that produces electric cars – the cars for a sustainable future. His real-time net worth at the end of 2017 was at USD$20.1 billion. But let’s bring it back to our homeland – a little red dot can achieve a great deal too! 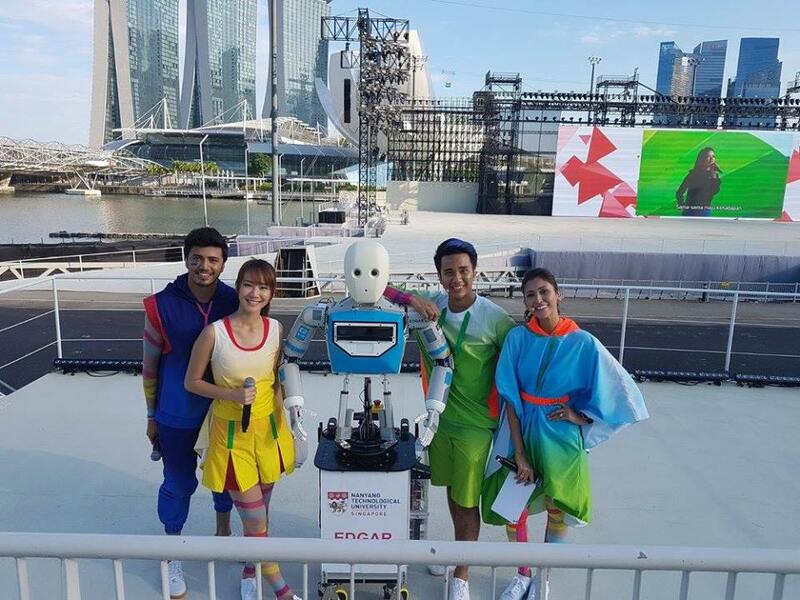 Professor Wong Choon Yue and his wife, Research Associate and PhD student, Pang Wee Ching are roboticists, developers (and parents) of Singapore’s first non-human National Day Parade host called, EDGAR. There are EDGAR-1 and EDGAR-2, with the latter robot appearing on the Marina Bay Floating Platform on 9 August as co-host. The robot brothers are “‘service’ robots and Edgar 2 is destined for public spaces such as shopping centres, airports and tourist attractions where it will dispense directions and other information”. Singapore is progressing into the future with robotics, with our outstanding homegrown engineers aiming to make our lives better with technology. When an engineering breakthrough happens, we all get excited. Especially if it’s a ‘made in Singapore’ product, wouldn’t you say? Fact or fiction? FICTION; whenever a space technology advancement is announced, the internet explodes with excitement at new possibilities. Engineering is definitely NOT boring! Right, so how true are the old wives’ tale? According to the Ministry of Manpower’s (MOM) 2016 Manpower Research and Statistics Department (MRSD), the people working in the manufacturing industry earn a median gross monthly salary of $3,792. This figure excludes employer’s CPF contribution. 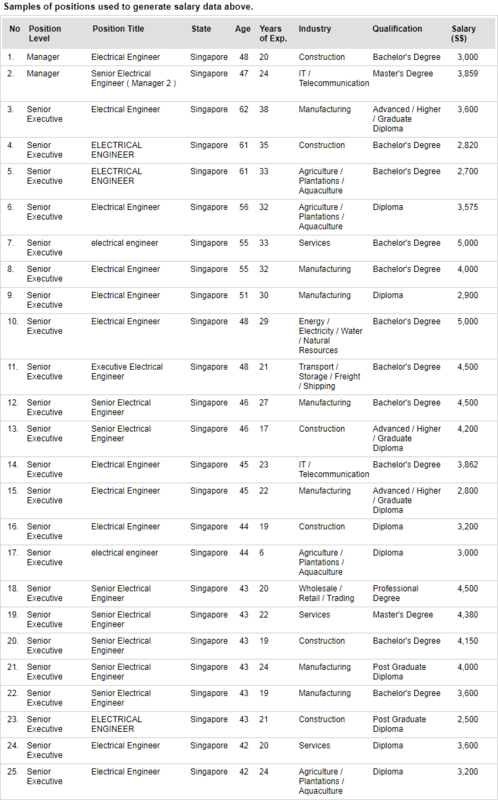 I used a Jobstreet salary report tool to generate salaries for the job, Electrical Engineer, and these were the results. 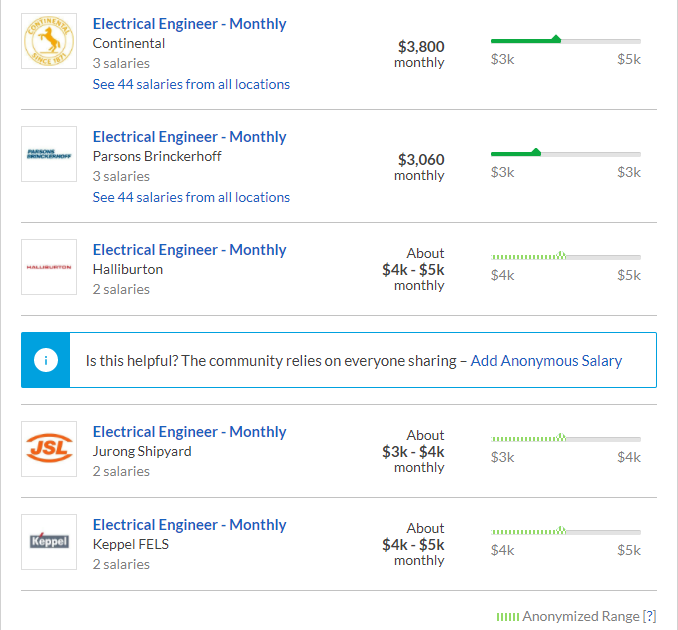 The information is based on the average monthly salaries without bonus and other types of compensations sampled from Jobstreet.com’s database of jobseekers in Singapore. I did a search on Glassdoor for reference as well. Pretty decent, but is this true on the ground? According to a Boston Consulting Group (BCG) impact study on the Singapore Industry 4.0 model, the average salary of new manufacturing jobs will increase by approximately 50 per cent compared to lost jobs. Looks promising for our young, budding engineers! Fact or fiction? FACT; starting salaries vary in different sectors of engineering and companies, but usually, engineers are paid well enough to support themselves comfortably. Employees look out for the potential for progression when applying for jobs. And it’s understandable – no one wants to stay in the same position, doing the same job scope for their whole working lives, right? And this is where the engineering industry can potentially satisfy. Due to the rise of Industry 4.0 movement, work won’t just become easier – access to better-paying jobs will also increase. About 22,400 new jobs such as data scientists, robot coordinators, etc., will almost offset the approximate 23,200 lost jobs in operators, quality control, and the like, according to the BCG study. Engineering is also pretty much a straightforward career based on the years of experience and skills acquired over time, so one can expect vertical progression after working for a certain number of years. Like the new jobs that will be created with the implementation of Industry 4.0, engineers who work as operators and in quality control are not completely redundant just because their jobs no longer exist. In fact, they’re getting an upgrade in their job scope! As society continues to advance, engineering and technology will constantly evolve and upgrade, constantly finding solutions to each generational problem. The same goes for our engineers with years of experience and knowledge. Fact or fiction? FICTION; engineering is not a dead-end job. It is a job of, and for the future. Regardless of industry, work always includes an element of stress – it’s just if it’s productive or paralysing. The same goes for engineering. Looking back on the MRSD paper, it expands on its manufacturing industry section. It includes the Food, Beverages & Tobacco, materials (like paper, rubber, plastic, printing products), petroleum and chemicals, metal products and machinery and equipment, electronics, the Transport Equipment sectors, and more. In 2015, the average weekly standard work hours for the manufacturing industry per full-time employee is 43.1 hours, with the Transport Equipment manufacturing sector taking the lead at 43.9 hours. The lowest was 41.9 hours for the Petroleum, Chemical & Pharmaceutical Products manufacturing sector. For the construction industry, it is at 44.6 hours a week, per full-time employee. 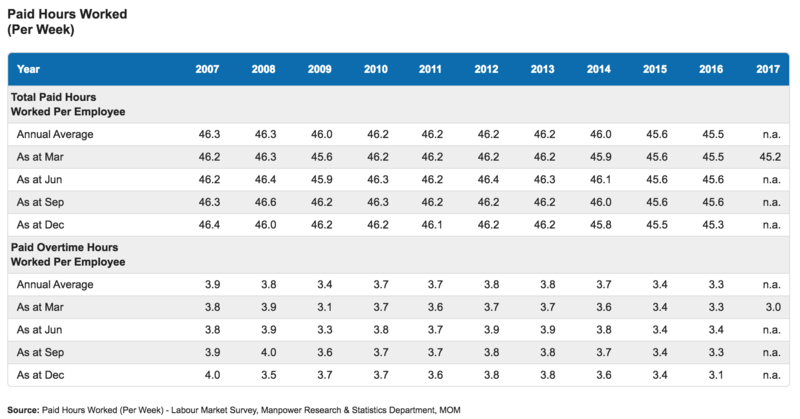 As of March 2017, the total paid hours per employee across all industries in Singapore is 45.2 hours a week. The report also shows that in 2015, a total of 37.7 per cent of the establishments in the manufacturing industry offer formal flexible working arrangements. These flexible work arrangements can be part-time working, flexitime, teleworking, staggered hours, and other types of arrangements. In any case, working hours per week per employee, for the manufacturing industry are still lower than the national annual average of 45.2 hours. But workload and job scopes do differ from occupation to occupation, and each company’s culture and its trade will make a difference. Fact or fiction? Both; it depends on the company and sector you’re in. With the rise of startups in Singapore, there is a trend to work in some of the cooler and young companies. 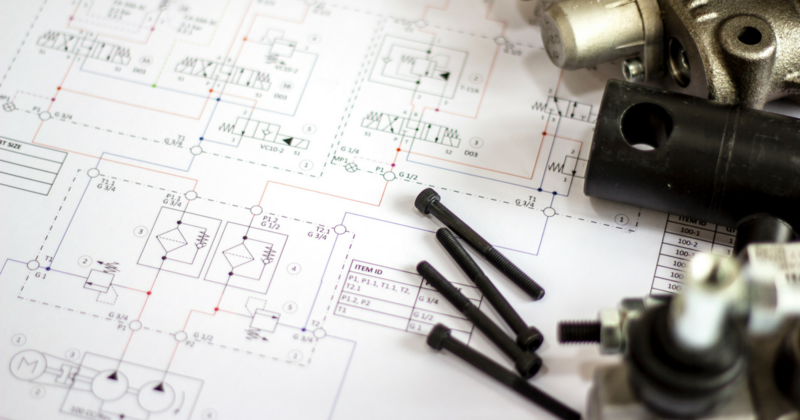 Many engineers and students who graduated from engineering faculties could be tempted to ditch the less glamourous job of being an engineer and look for similar jobs in this area, or even strike out on their own. However, after our quick fact/fiction check above, engineering is a highly misunderstood industry doesn’t really deserve its ‘boring’ rep. This could very well be you in the future. Plus, you could invent the next groundbreaking tech solution or product, and be Singapore’s Elon Musk—moving everyone’s lives forward into a smart future! This article is written in collaboration with engineroom.sg.